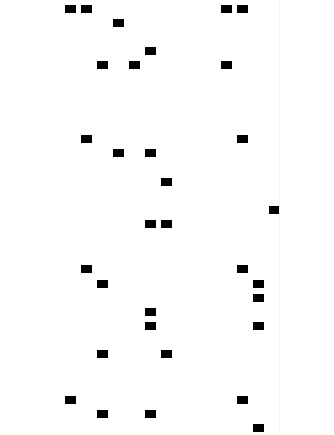 print your play slips ? 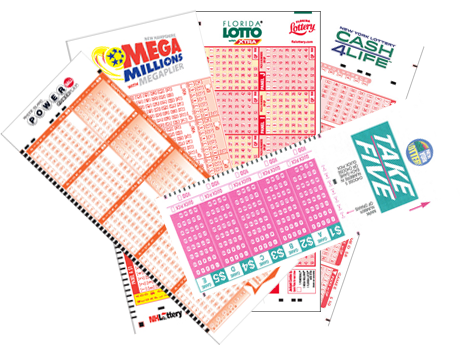 A wheeling system is a powerful strategy that provides an effective, systematic method for playing lotto games. 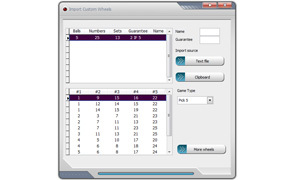 Our lottery software provides minimum combinations for the same win guarantee. This means you can bet the same win guarantee for the least amount of money. LOTTOmania has the ability to import your favorite wheeling systems. You can simply copy and paste a system directly from a webpage or import from a text file. Supported wheels: PICK-4, PICK-5, PICK-6 and PICK-7. 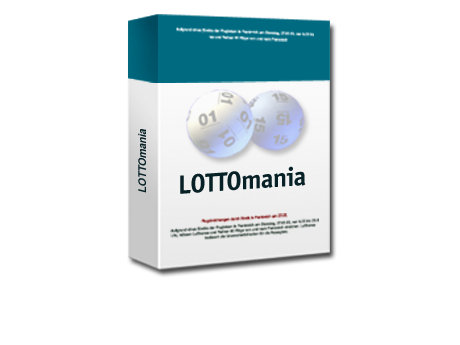 LOTTOmania will help you pick winning numbers using frequencies, draw patterns, statistical reports. 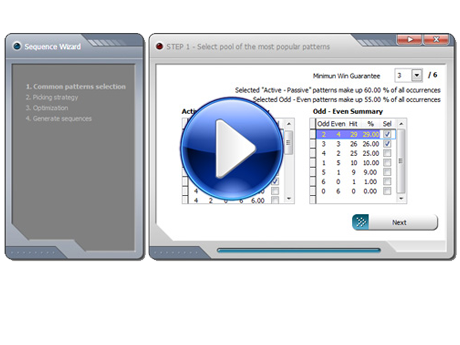 Build in the Suggested Numbers Wizard uses all analysis tools available in LOTTOmania to pick lotto numbers for you. Click on the image to see video tutorial. You can download and update results for all selected games with just ONE CLICK. No need to enter results by hand ! Don't waste your time on boring tech books or searching YouTube. Free LOTTOmania video tutorials will teach you how to use the software. English, Español, Ελληνικά , Hrvatski, 简体中文, Српска, Română, Slovenski, Français, Deutsch, Icelandic, Italiano, Suomeksi, Polski. LOTTOmania - software that is capable of printing a text file of lottery picks onto the blank lottery slips. 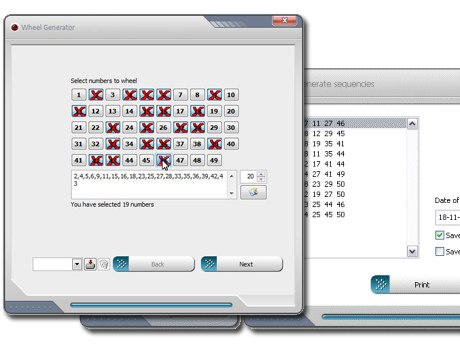 Let the software to pick the best numbers to play. One of the best lotto strategy is to use the previous day's winning numbers. 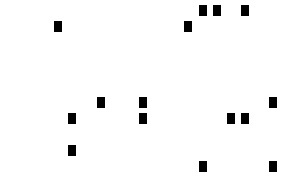 The Neighbouring Numbers Strategy uses numbers from 2 last draws. LOTTOmania is an advanced software application whose purpose is to help you increase your chances of winning the lottery by generating various numbers using frequencies, draw patterns and statistical reports. It works with all lotto games, such as Powerball, Mega Millions and EuroMillions. 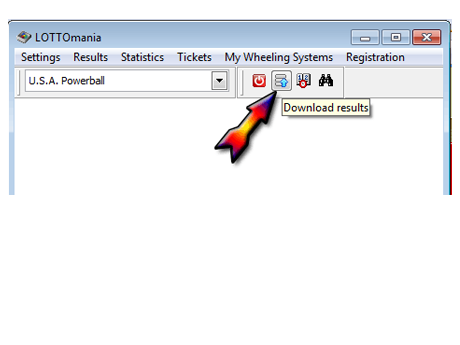 LOTTOmania allows you to add your favorite wheeling systems by copying and pasting data directly from a webpage or importing info from a plain text file. 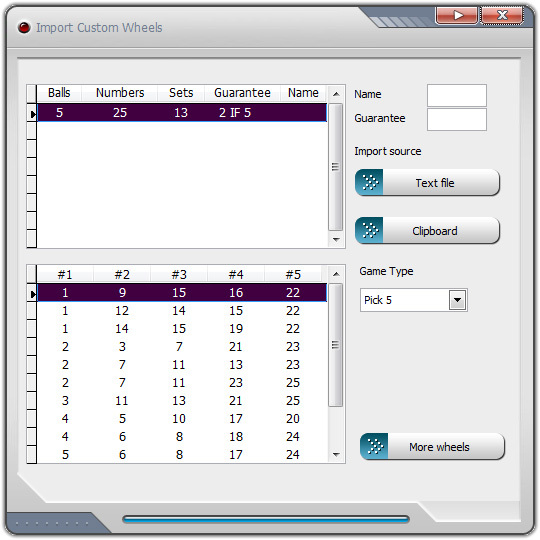 The utility supports the PICK-4, PICK-5, PICK-6 and PICK-7 wheels. 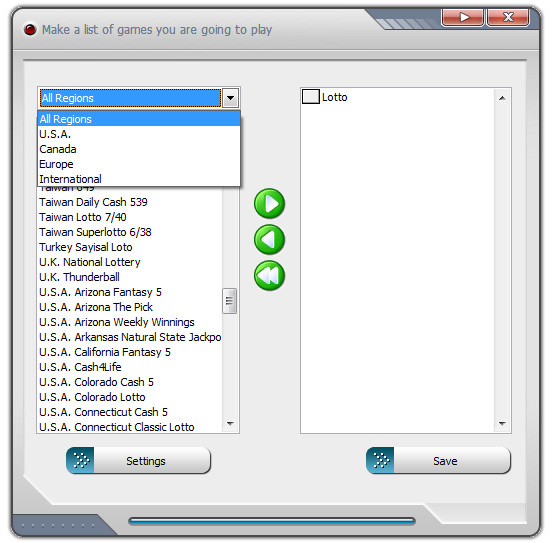 LOTTOmania is able to generate possible winning numbers using a wizard-like approach where you are offered step-by-step guidance throughout the entire configuration process. 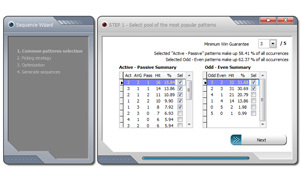 You can specify the minimum win guarantee, select the pool of the most popular patterns, pick the number strategy, filter combination for consecutive numbers, and save the results to plain text files. 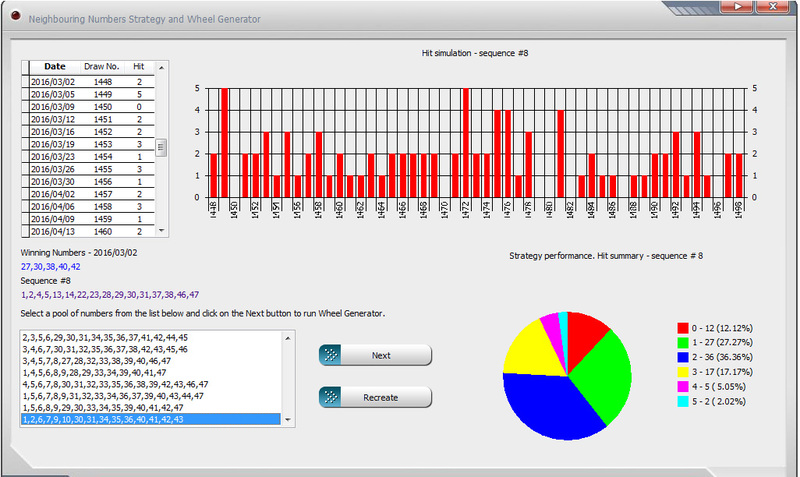 The tool also comes packed with a neighbouring number strategy where you can perform various simulations and check out graphs/pie charts. 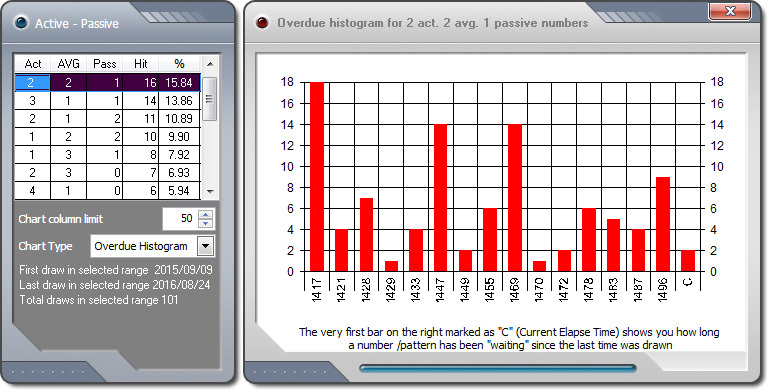 What’s more, you can analyze diagrams with hit frequencies, graphs with active/numbers, histogram for odd and even numbers, overdue histogram, and draw summary. 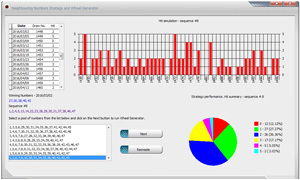 You may check out how many time all the numbers hit in the selected time period, perform searches by numbers in the database, and download results. 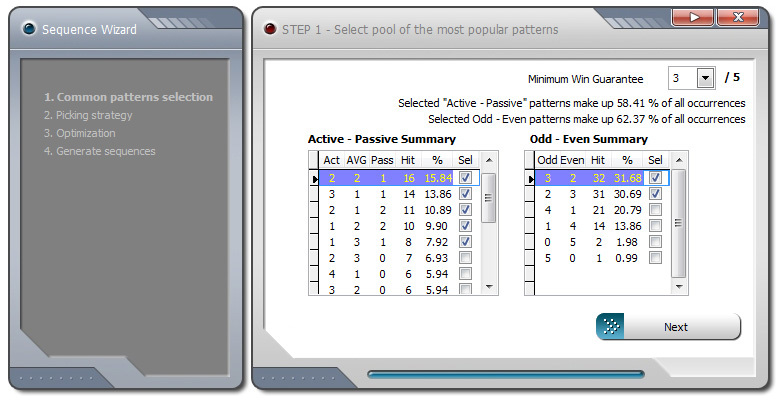 All in all, LOTTOmania implements various analysis tools for helping you pick lotto numbers. 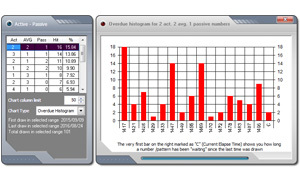 The intuitive feature package makes it suitable for rookies and professionals alike.